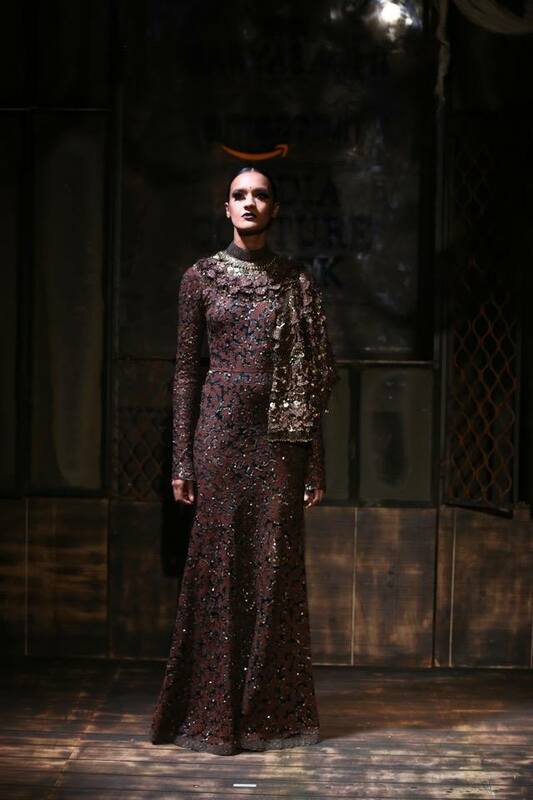 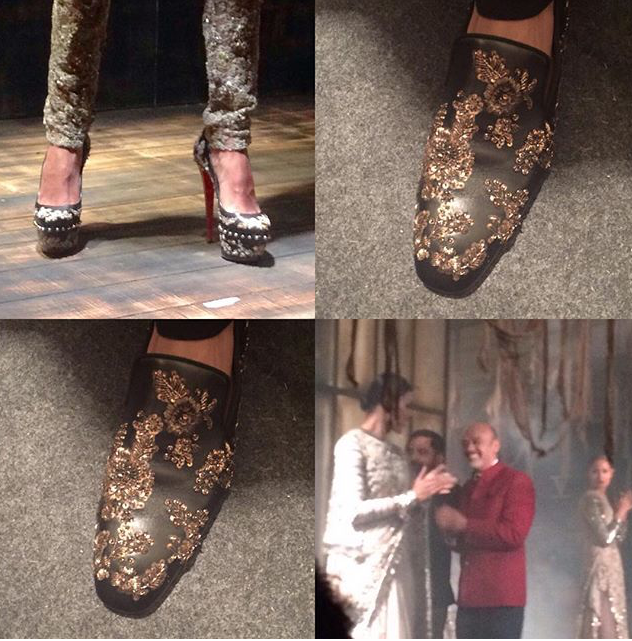 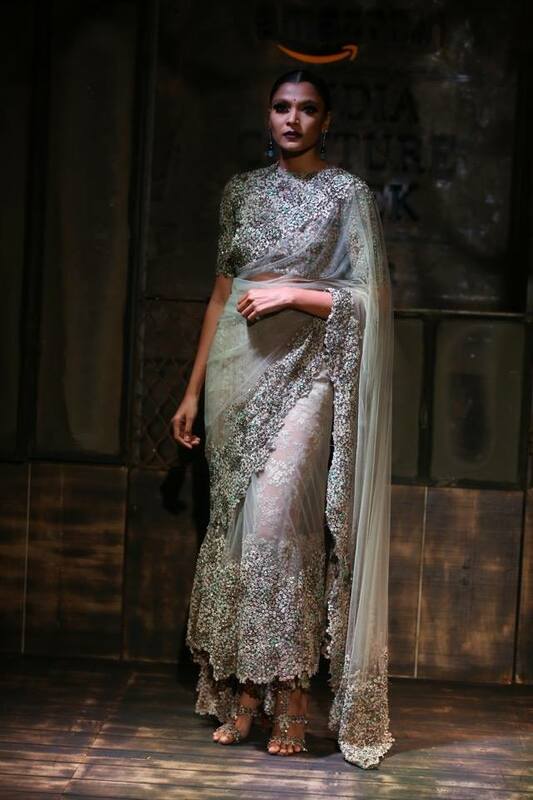 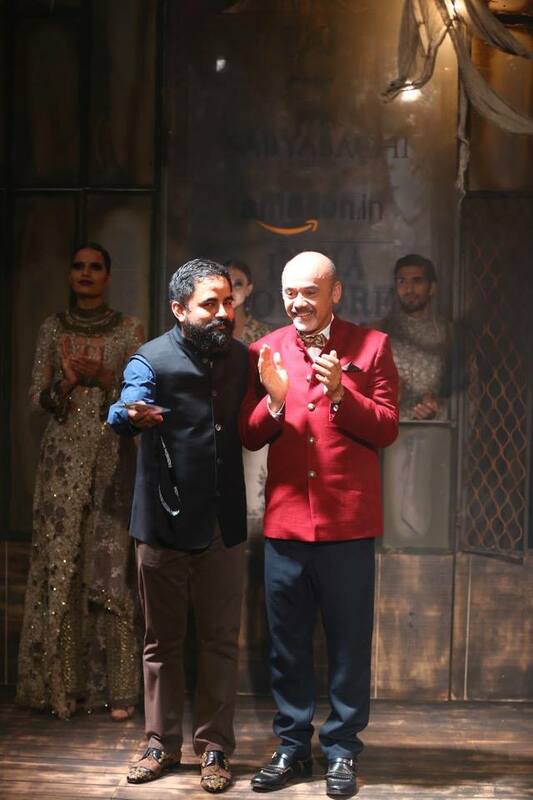 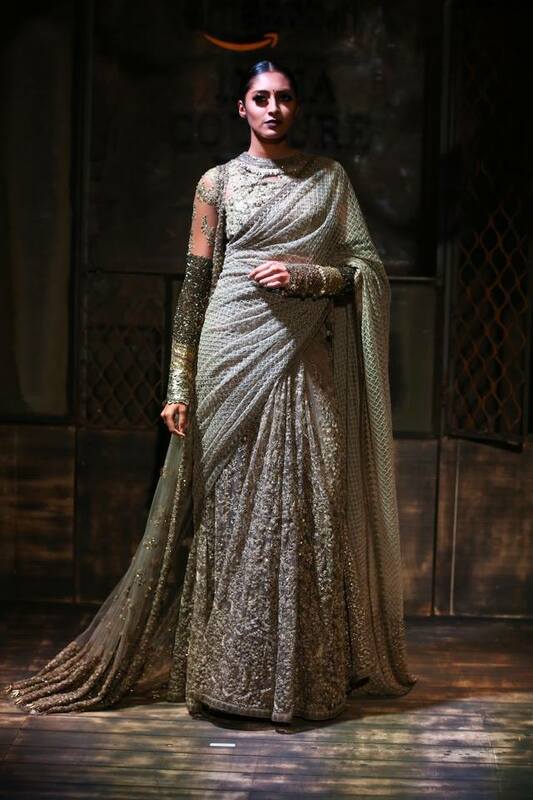 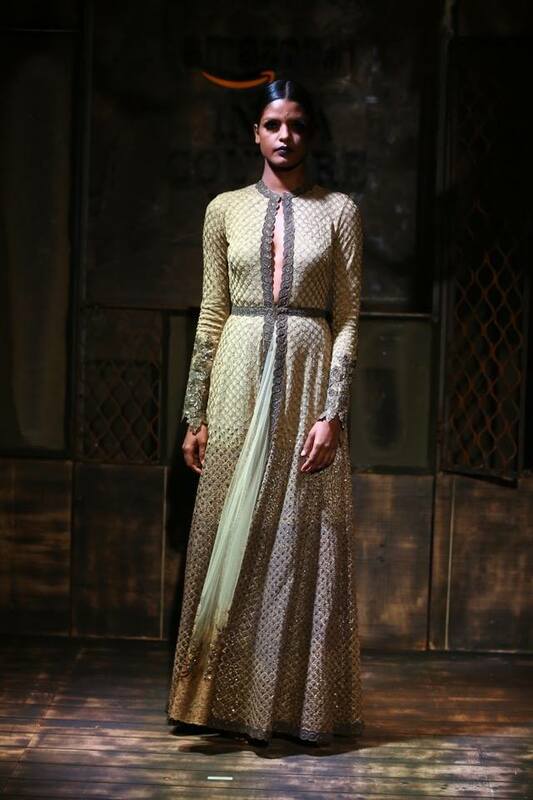 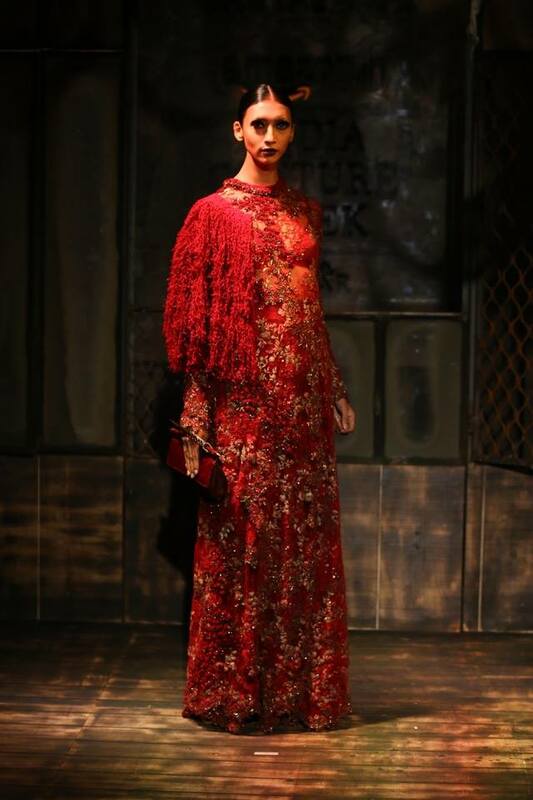 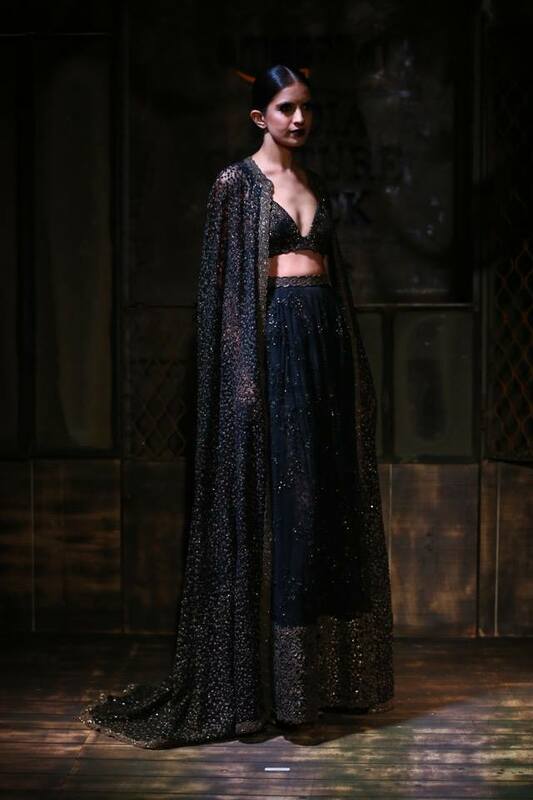 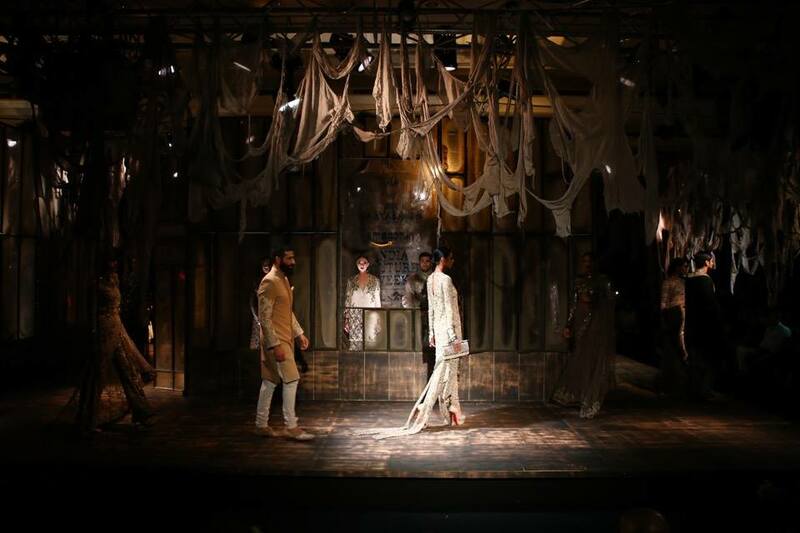 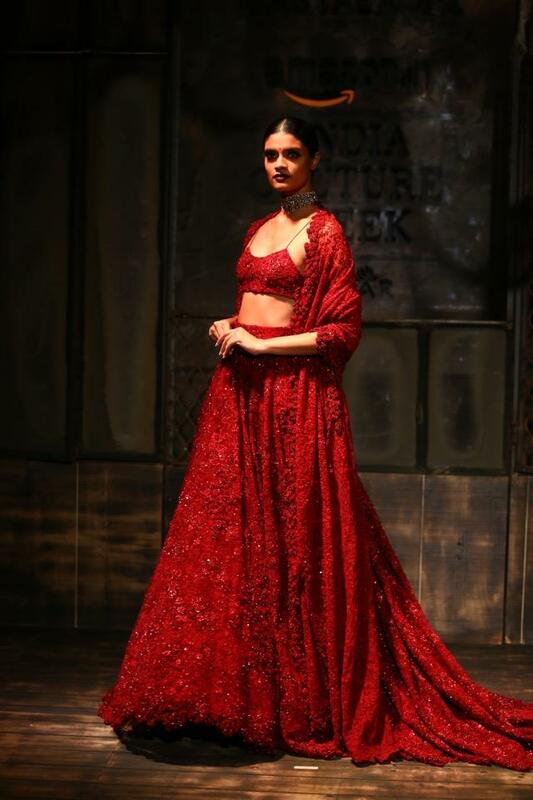 After much anticipation, Sabyasachi's collection at Amazon Indian Couture Week 2015 welcomed a darker side of Indian fashion taking inspiration from the pirate life! 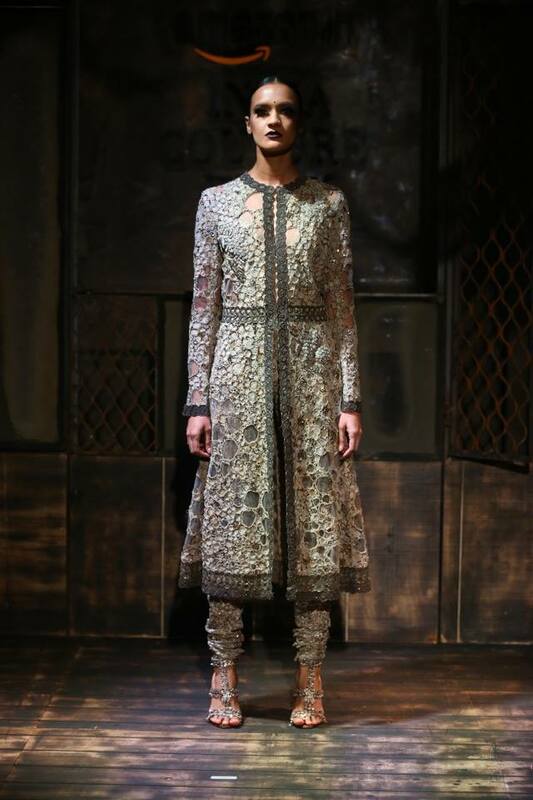 This collection amazed me because it was so unique to the well-known Sabyasachi style, yet you can still see that Sabyasachi touch from the embroidery and cuts. 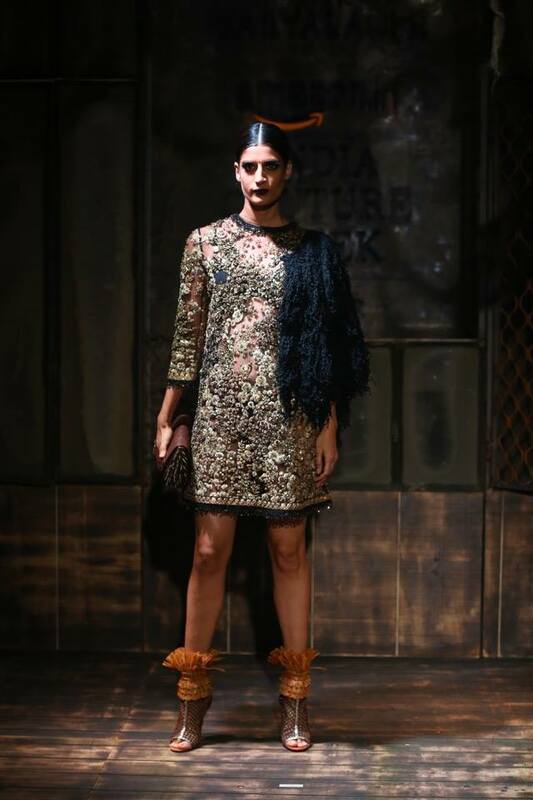 This collection took on a more androgynous feel with strong shoulders and oversized jackets giving a Western touch to his designs. 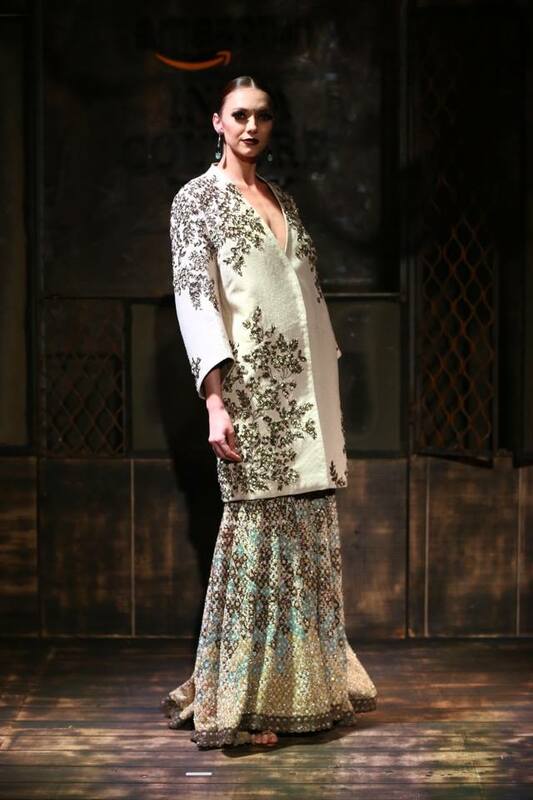 I'm also finding inspiration from the 20s and 70s in this collection- the 20s through the hair and makeup, and the 70s from the fringe seen on the capes and a few gowns. 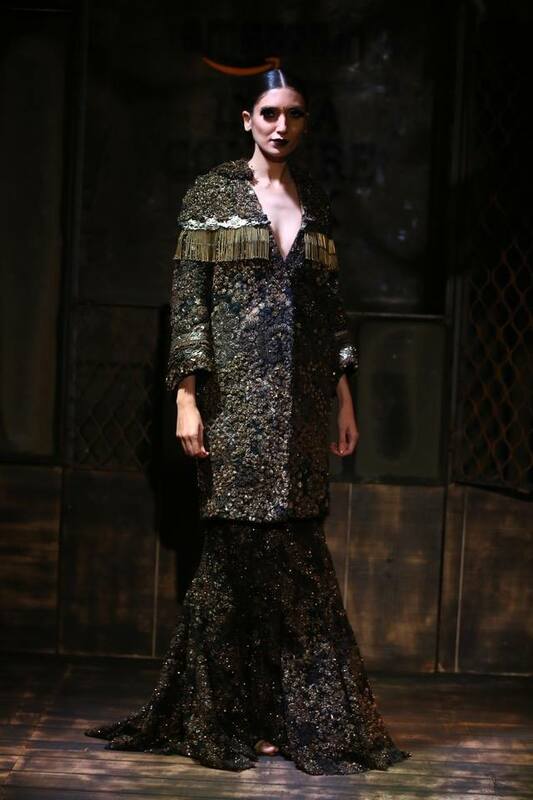 Models wore low slick buns with dark makeup giving a 20s vibe to the show. 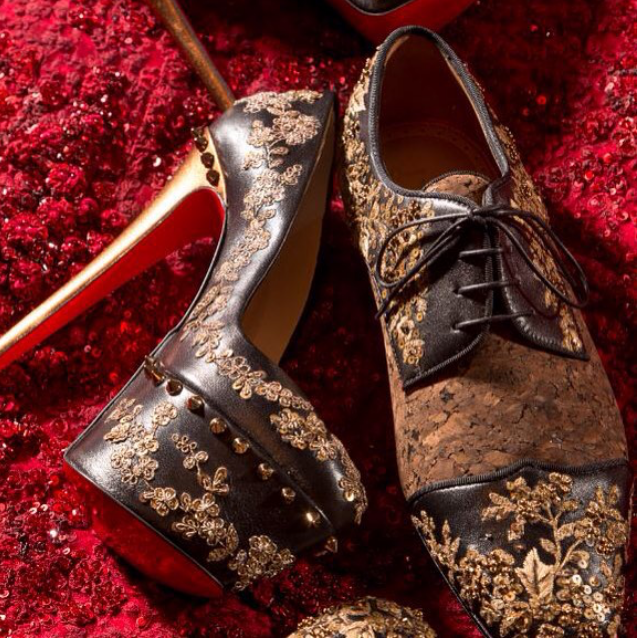 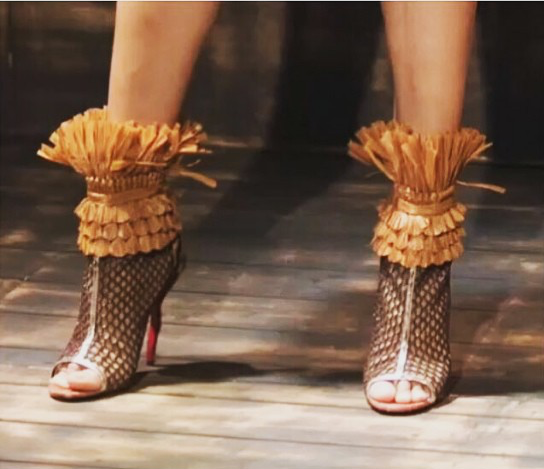 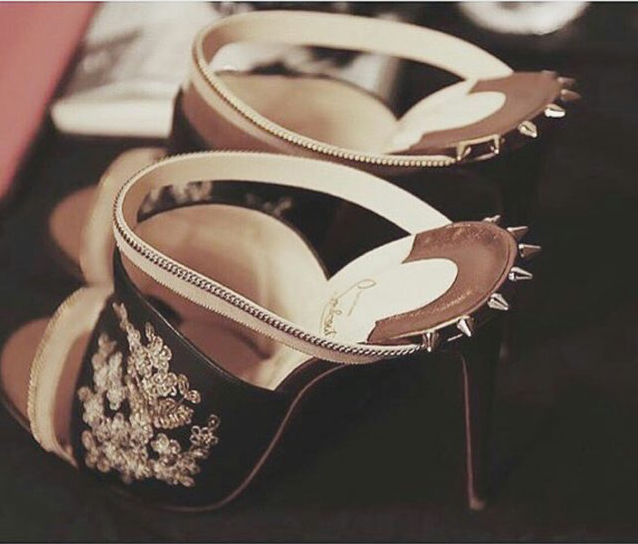 This collection also included a collaboration with the amazing Louboutin. 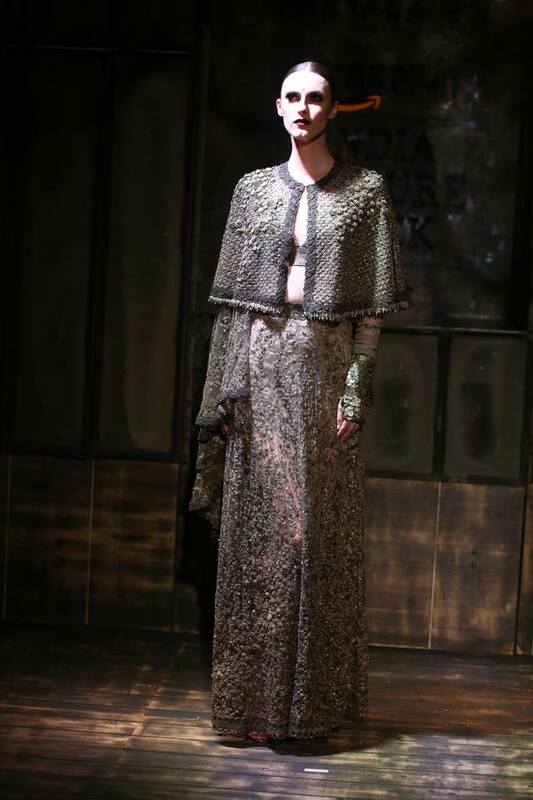 I'm not sure why it took so long for these designers to collaborate because their collections are made for each other! 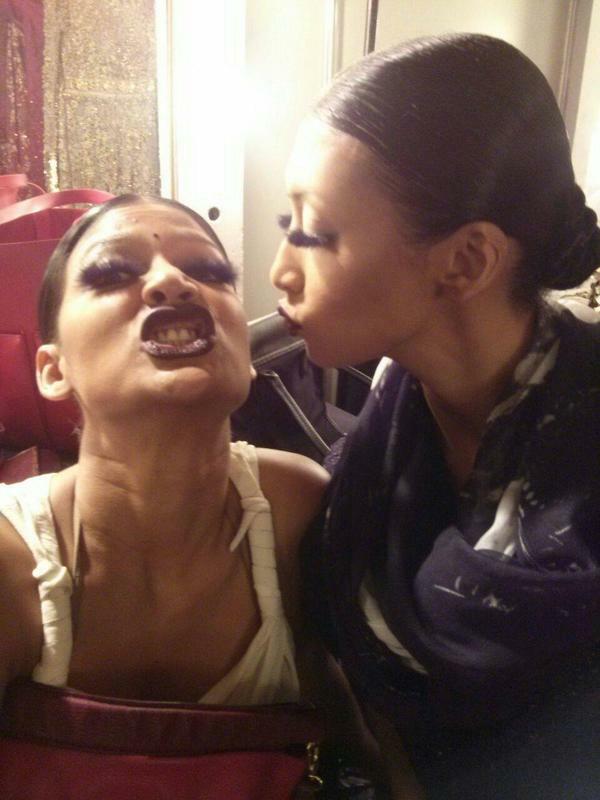 Did you enjoy the show? 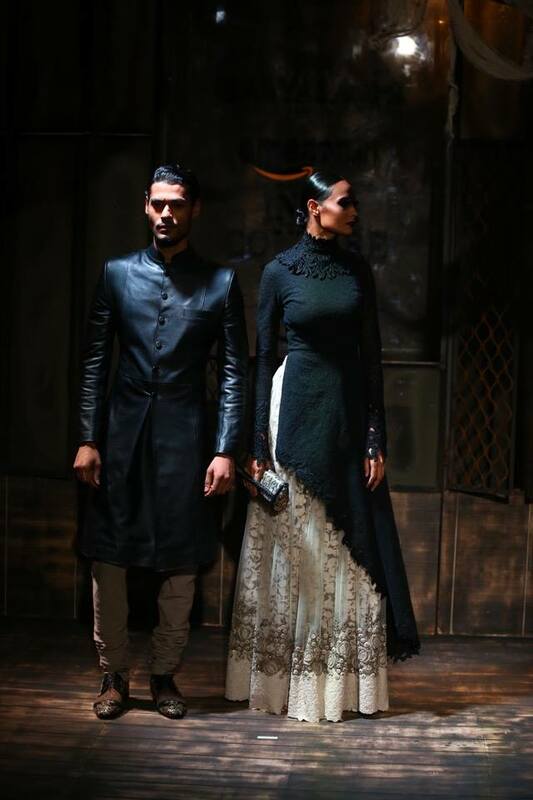 I definitely have to say my heart fluttered when I saw the black lehenga with the long cape, wow!